From before 1948, her married name became Swaffer.1 Her married name became Rouse-Boughton. Her married name became Rouse-Boughton. Child of Dorothy Alys Ismay and Major Sir Edward Hotham Rouse-Boughton, 13th Bt. Berks 1958 High Sheriff.3 He was late Major Life Guards.3 He held the office of High Sheriff of Berkshire in 1958. He lived at Allanbay Park, Binfield, Berkshire, EnglandG. Arnold Stancomb Wills was born on 24 November 1877.1 He was the son of Sir Edward Payson Wills, 1st Bt. and Mary Ann Pearce. 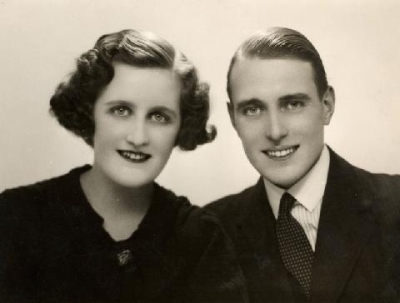 He married Hilda Caroline Lyon, daughter of Edward Lyon, on 11 October 1905.1 He died on 19 January 1961 at age 83. He was Deputy Lieutenant (D.L.) Ross and Cromarty.1 He was Captain 18th Hussars WW I.1 He was High Sheriff Northamptonshire in 1935.1 He lived at Thornby Hall, Northampton, Northamptonshire, EnglandG. She lived London and New York.1 Her married name became Wills. Edward Lyon died before 1963. He lived at New York City, New York, U.S.A.G. He lived at London, EnglandG.